Are you prepared for the Second Coming of Jesus Christ? A true understanding of the signs of the end-times will fill you with Holy Spirit fire to boldly declare and stand firm in your beliefs. 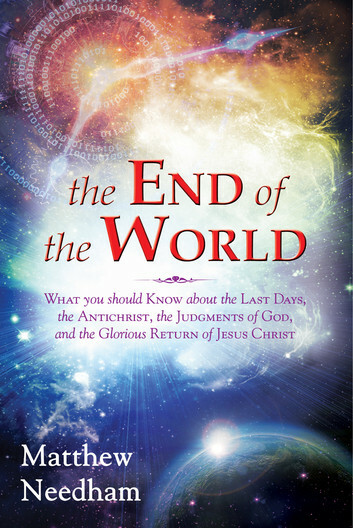 The End of the World is a comprehensive study of what must happen before Jesus returns—and dispels many current misinterpretations of the Bible regarding the end times. The Bible, and especially the book of Revelation, is a mystery to many believers—no more. The End of the World solves many of those mysteries. The End of the World reveals the very urgent need to awaken believers to their role in knowing and sharing the truth about how current world events are fulfilling the signs of the end times. You will be provoked into a greater awe regarding the return of Christ—and a greater desire to live for Him wholeheartedly today! Chapter One What Must Happen Before Jesus Will Return? Chapter Two Who Is the Antichrist? Chapter Three The Judgments of God Are Coming! Chapter Five When Does the Rapture Take Place? This is a most timely and interesting book—well written, carefully researched, and based entirely on Scripture. The author has clearly outlined the various views on the tribulation, and he has fearlessly presented his own case with both humility and honesty. His persuasive arguments will convince readers, regardless of their point of view on the tribulation, of the urgent need for all believers to proclaim the Gospel of Jesus Christ as widely as possible with conviction. For this reason alone, the book is well worth reading. I highly recommend it. The anointing of the Holy Spirit is on this work, and I believe it will be used mightily in the worldwide extension of the kingdom of God.